I told you this ice cream maker was going to be a problem. Here we are two days later and I have another ice cream post. I just couldn’t wait to appropriately space it out. It’s just too dang good! 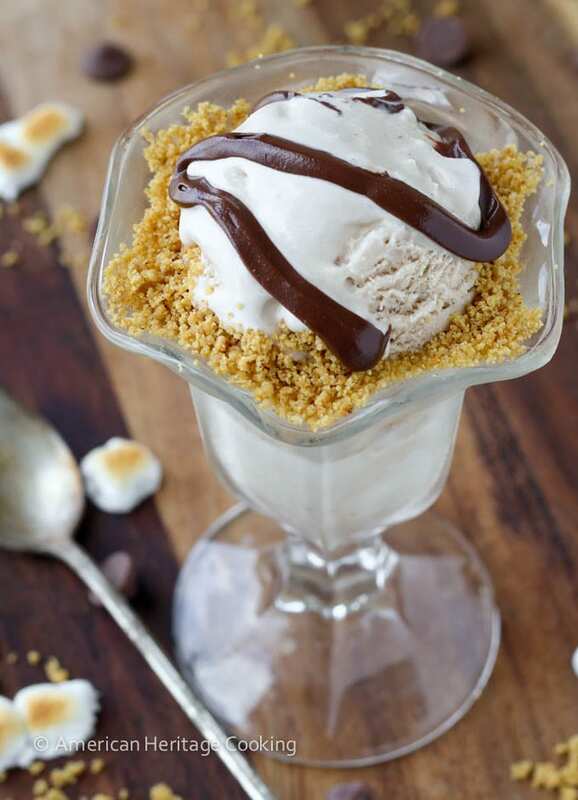 This Toasted Marshmallow Smores Ice Cream will absolutely rock your world! And, yes, I am fully aware that S’mores week was last week but I just couldn’t get this ice cream made and photographed in time! 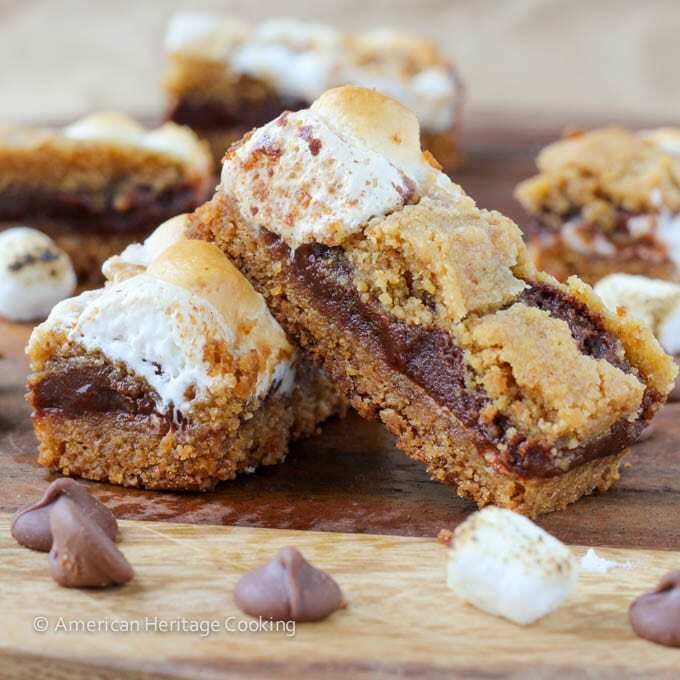 It was going to be my Friday post but those sensational Toasted Marshmallow Golden Graham Smores Bars happened instead. I incorporated toasted marshmallows and milk chocolate into the ice cream mixture, so that it is infused with toasted marshmallow flavor. I swirled in some Nocciolata and topped it with a savory graham cracker sand. Hold up. What is Nocciolata? It’s my new best friend. It tastes like Nutella but is 100% organic, gluten free and hydrogenated fat free. AND it doesn’t have any artificial flavorings or food colorings. I try to eat 100% organic , so why should my chocolate hazelnut spread be any different? I actually first came across Nocciolata in Italy on my honeymoon. They had it at breakfast in our Venice hotel. Not one to eat chocolate for breakfast (Shocking, I know), I snuck a jar or two for snack. Guys, this stuff is amazing! You can learn more about them here. And so is this ice cream! 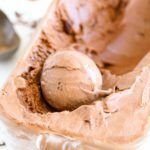 The Nocciolata freezes but it melts quickly in your mouth creating a wonderful flavor combination! I didn’t add any sugar to the graham cracker sand and I sprinkled in some cinnamon and a teeny tiny pinch of salt to temper some of the sweetness of the ice cream. The result is a balance of sweet and savory with an intriguing texture. 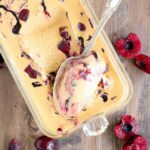 This is a custard-based, churned ice cream, which basically means there are some added egg yolks and the whole ice cream base is cooked before churning. Even though there are one or two extra steps, it is still very easy. On a totally random side note, how amazing is my vintage loaf pan?!!? It’s circa 1940 and I’m obsessed. 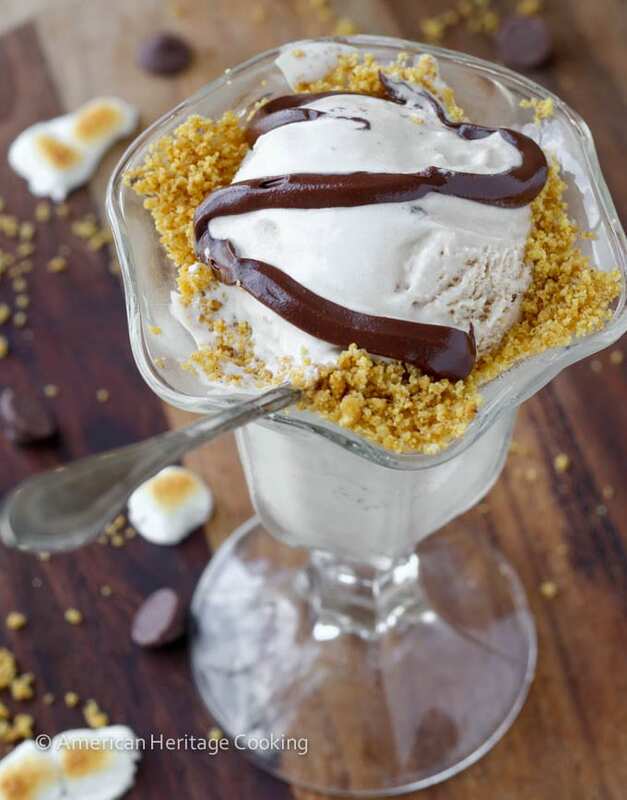 You will love this Toasted Marshmallow Smores Ice Cream! 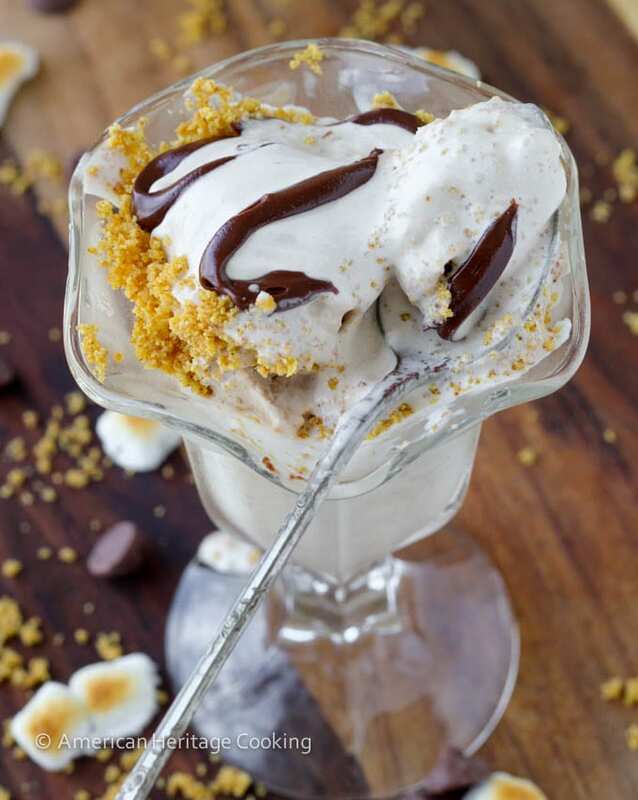 Toasted marshmallows and a rich milk chocolate are incorporated in an easy custard ice cream! 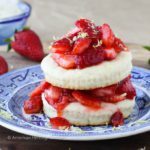 A savory cinnamon graham cracker sand tempers some of the ice cream's sweetness for a perfectly balance dessert! 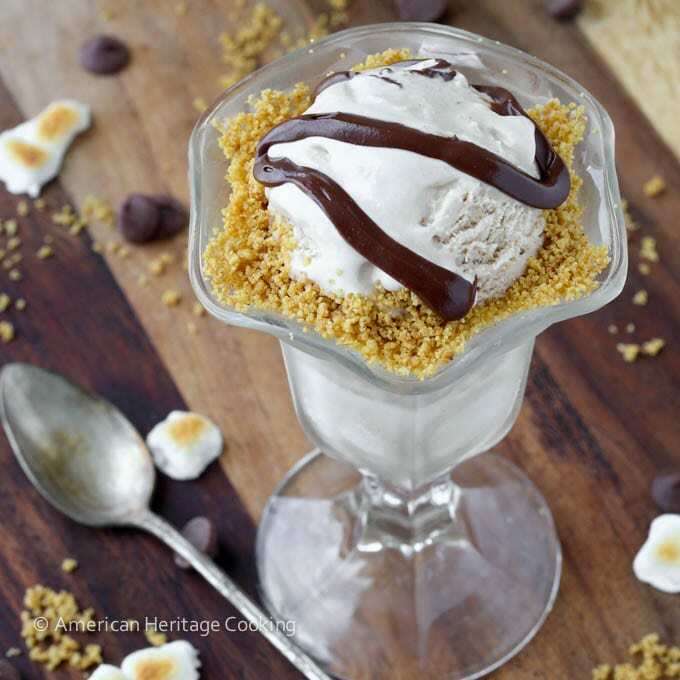 A cool, refreshing take on the traditional S'mores! 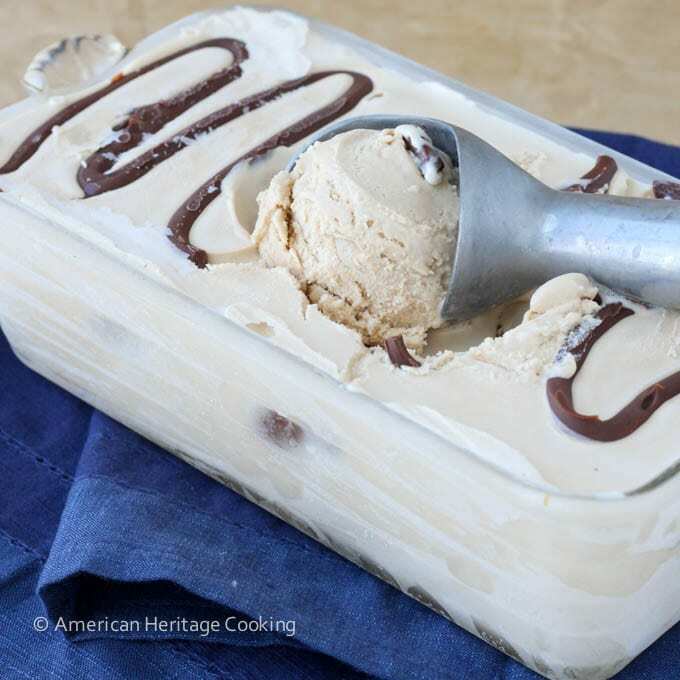 Pre-freeze your ice cream maker’s freezer bowl at least 24 hours ahead! In a large, heavy-gauge saucepan whisk together the milk, cream, half the sugar and salt. Place over medium heat and bring just to a boil, stirring occasionally. In a medium bowl, whisk together the egg yolks and remaining ½ cup sugar. Whisk until mixture is thick and a pale yellow. While the cream is heating, toast your marshmallows. Preheat the broiler with the top rack as close to the coils as possible. Next prepare the baking sheet on which you will toast the marshmallows. Cut a piece of parchment paper so that it fits inside a heavy-gauge baking sheet. Swipe a streak of butter in the middle of the pan and place parchment in the pan, smoothing down to secure. Butter the parchment paper with softened butter. I use my hands but you could also use a pastry brush. 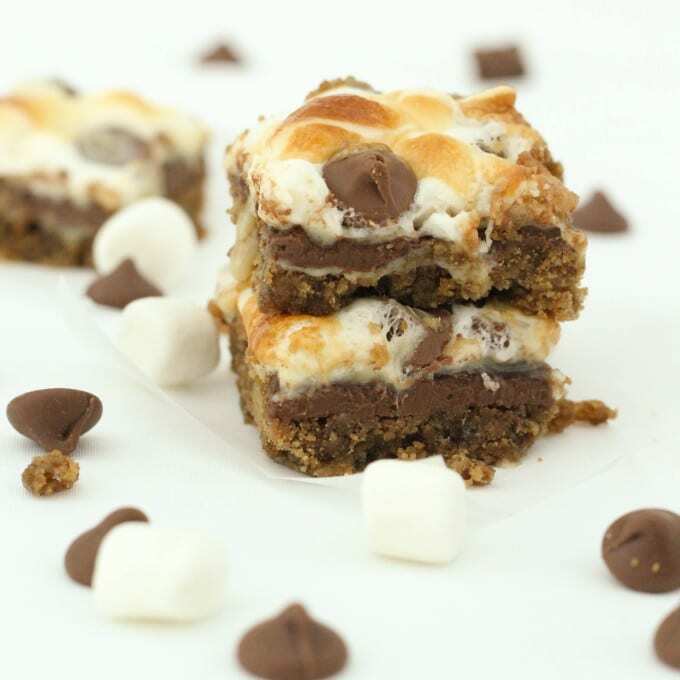 Place 2 ½ cups of mini marshmallows in a single layer on the buttered parchment. Broil as close to the coils as you can without touching them. Watch these little guys carefully! They only take 10-40 seconds depending on how close you are to the coils. Remove from the oven and set aside. Temper the Egg Yolks: Add ¼ cup of the boiling cream mixture slowly to the egg mixture while constantly whisking. Once that has been incorporated, add another ½ cup of the cream mixture in a steady stream while whisking. Add the egg yolk mixture to the sauce pan with the remaining cream mixture. Stir constantly with a wooden spoon until the mixture thickens and it coats the back of the spoon. This took approximately 15-20 minutes. Do not let the mixture boil. Stir in the vanilla extract. In a large blender add the toasted marshmallows and the chocolate. Place a fine sieve on top, and pour the cream mixture through the sieve into the blender. If your blender isn’t large enough, just use as much of the cream mixture as will fit; you can mix the rest in after. Mine exploded all over the kitchen. You will not make this mistake. Secure the lid on the blender and hold it down FIRMLY with a folded dish towel. Pulse the blender until a smooth mixture forms. 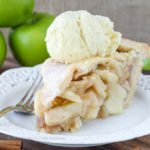 Pour into a large bowl, mix with the remaining cream mixture if necessary, cover and refrigerate at least 5 hours or until cold. Overnight is best…I didn’t and I regretted it. Place your container to hold the ice cream in the freezer. 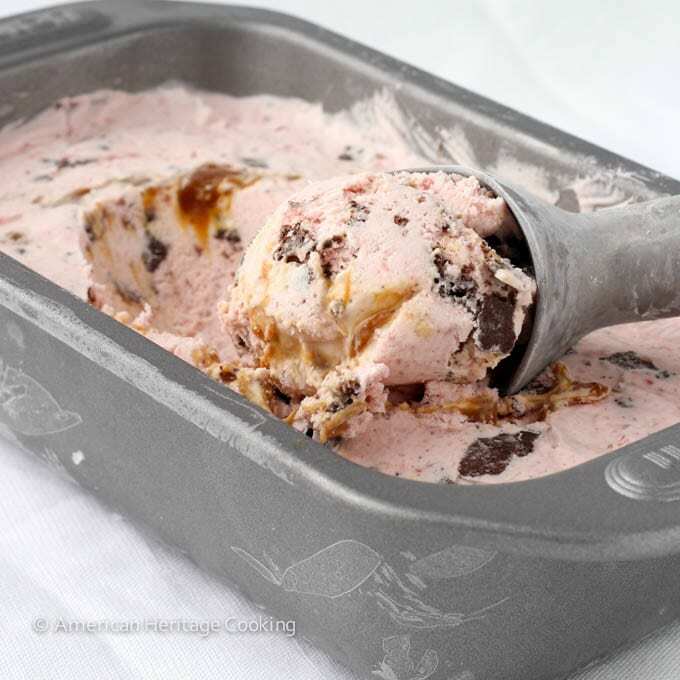 Turn on the ice cream maker and pour the cream mixture into the moving, frozen bowl. 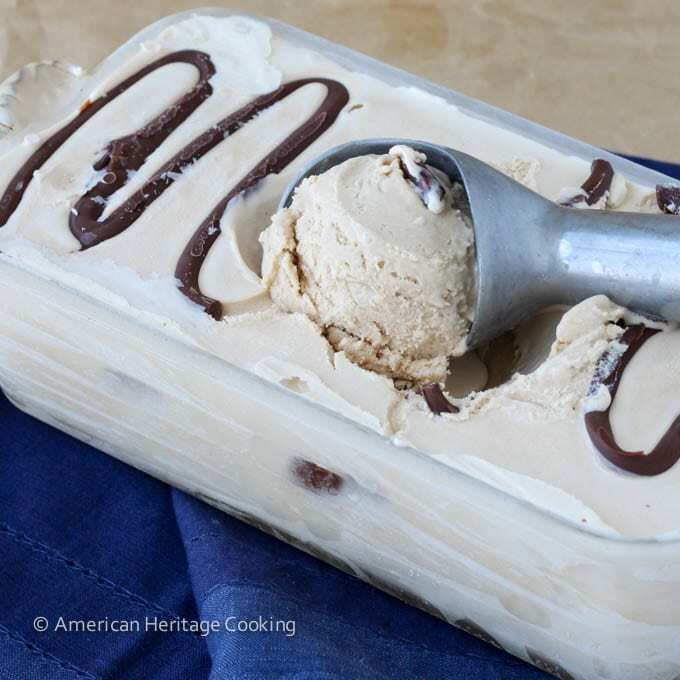 Churn 20-25 minutes or until the ice cream is soft and creamy. 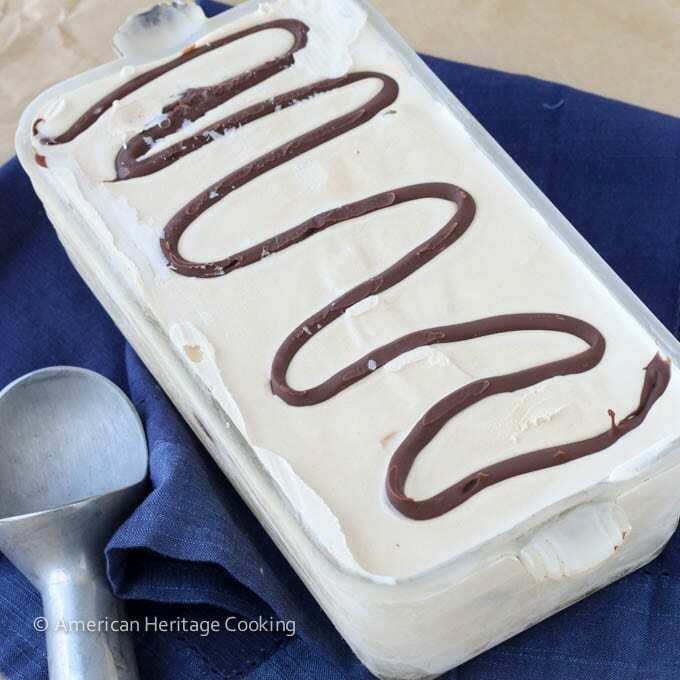 Place half of the ice cream in the container and squeeze ~1/4 cup Niccolata or Nutella on top. Repeat with the remaining ice cream. 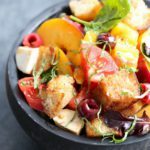 Cover and refrigerate 2 hours or more. 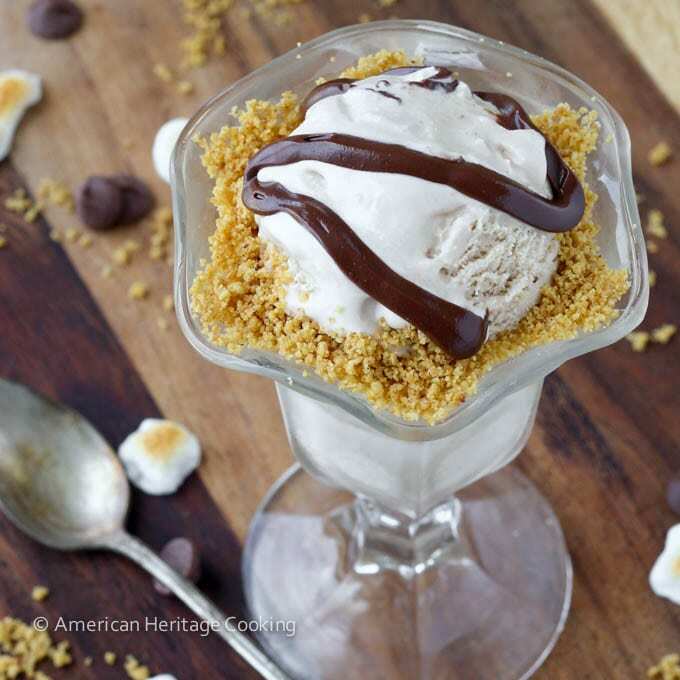 Scoop, top with graham cracker sand, and enjoy! Note: I used approximately 2 tablespoons of sand on each serving of ice cream, so this will make enough for 4 servings. Feel free to adjust to your needs. I like to make it right before serving. 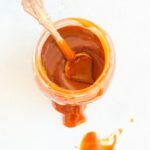 While I received free Nocciolata in exchange for a product review; the opinions expressed in this post are entirely my own. BAHAHA Healthy Nutella! Love it! It makes it 100% acceptable to eat it for breakfast now that you’ve called it that! Yummm! What a great way to cool down in the summer! Okay, so I need you to teach me all your ways. First, where do I find Nocciolata? Second, how are you taking such gorgeous photos – is that all natural light?! 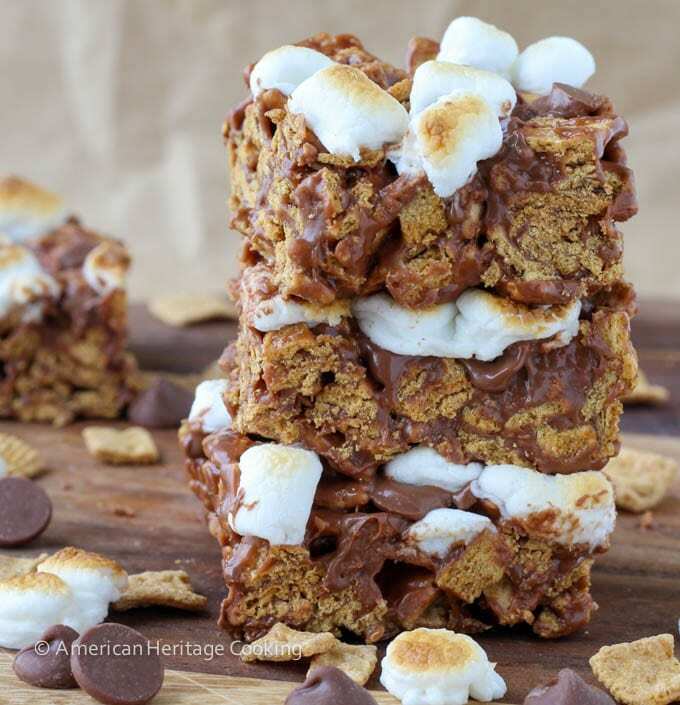 Third, I keep missing out on all these fun weeks like s’mores week – how do I get to participate in such deliciousness?! Haha! You can go to Nocciolata’s Facebook page (linked above) to learn where to buy it in your area…try Whole Foods though. 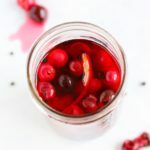 I do photograph 100% in natural light, but I would love to learn how to use the light box that I bought forever ago so that I am not chained to weather.com! 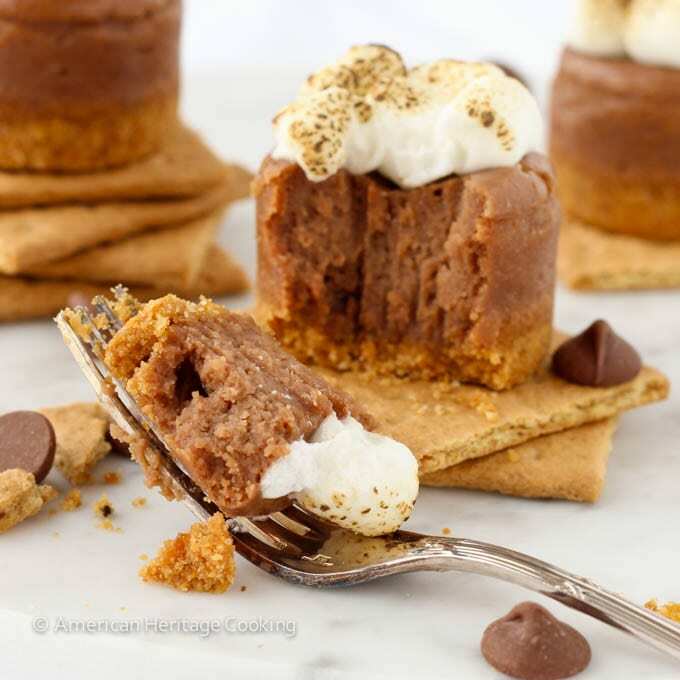 I found out about “smores week” from a blogging friend 🙂 I am also always out of the loop – like yesterday was National Cheesecake Day…umm what? OMG it looks beautiful! Very Lindsey-esque! I’d love to live nextdoor to you lol. I wonder exactly how many ice cream flavors you have made so far since you got that thing. Fun toy! Were any of them flops? Or all turned out Lindsey-esque? Miss Kim @ behgopa recently posted…The progress with my book.. Thanks, Love!!! I wish you lived next door too! I’ve only made two! All Lindsey-esque 🙂 There were some mishaps along the way…like me over filling my blender on this one and spraying hot custard all over the kitchen and myself. But fortunately there were no witnesses, so its like it never happened. 😉 And I learned, also on this one, the importance of appropriately chilling the mix before adding it to the ice cream maker. no regrets is right! 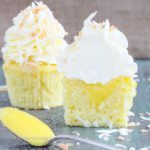 do you bake all day everyday?! i want to live in your kitchen! Wouldn’t that be fabulous if I could bake all day everyday?!? You are welcome in my kitchen any time, Linz! I am a sucker for smores and for ice cream. This is definitely on my list of things to try! Kristie Hill recently posted…Blogging lessons learned from a lemonade stand. Hahahahahahaha!!! –> “I told you this ice cream maker was going to be a problem.” I said EXACTLY the same thing. And no, no, no, no, no, girlie! Nocciolata is NOT your BFF. I already hold that spot!! ALOL. p.s. love ya, love your hair – but I’ve actually had Nocciolata too, and it’s also my BFF! Forgive me? 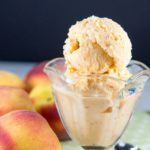 You should totally make this ice cream then! I know you have a bowl in the freezer now 🙂 Because we are the same person and I am trying my hardest not to put BOTH bowls in the freezer. The main deterrent: space. Where will the muffins, cookie dough, homemade stock and sauce go? And you are totally ahead of Nocciolata on the BFF list! Never a question. I think I can share Nocciolata…but only with you, my love, only with you! Haha, for a second, I forgot that the “sand” in your notes was referring to the graham cracker sand. Oops! (-__-‘) Anywaaaysss, the ice cream looks delicious!! And the Nocciolata, I gotta try!! Steph recently posted…Bitter Melon Juice?! Haha! I’ll go back and specify so that no one really gets confused because eating actual sand would be nasty! Thanks! Oh wow, what a flavor! They have a snap, crackle, pop ice cream at Ample hills in Brooklyn that tastes just like rice krispie treats! I’m so glad to hear about an organic nutella! My goodness, this ice cream looks so delicious. Smooth, creamy, and that wonderful swirl of Nocciolata. Yum! No complaints about more s’mores!! and ooooh I loooove Nocciolata!!!! 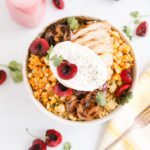 Just-everything about this recipe is a total slamdunk. I’m hungry just thinking about this ice cream and looking at the gorgeous pics! I’m so jealous of that loaf pan! I’ve decided that tomorrow morning is going to be spent shopping for an ice cream maker. 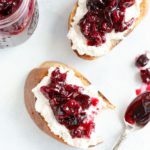 I’m going to have to make this one for sure! You have to get one!! I’ve spent an extra several hours in the gym because of it – no regrets!